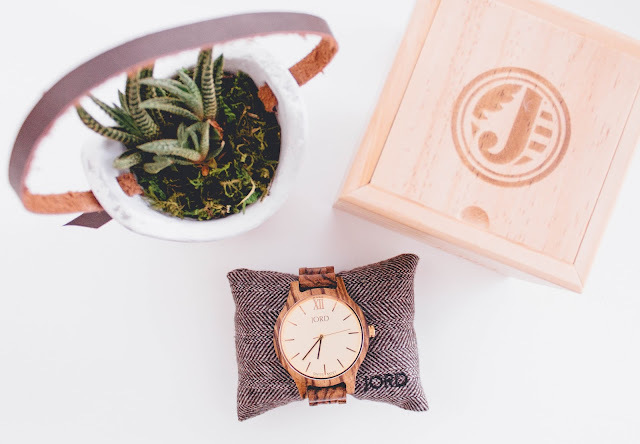 Raising Hill: CLOSED JORD WOOD WATCH GIVEAWAY! Happy Tuesday, Friends! I'm shaking things up a bit here today and talking fashion. I know what you're thinking, "Really? Fashion? Does she own anything other than yoga pants?" The answer is yes, I do! So that basically makes me fashionista. right? When my watch arrived, I couldn't get it out of the box fast enough. The first thing that caught my eye was the packaging. I'm a sucker for good packaging and JORD did not disappoint. 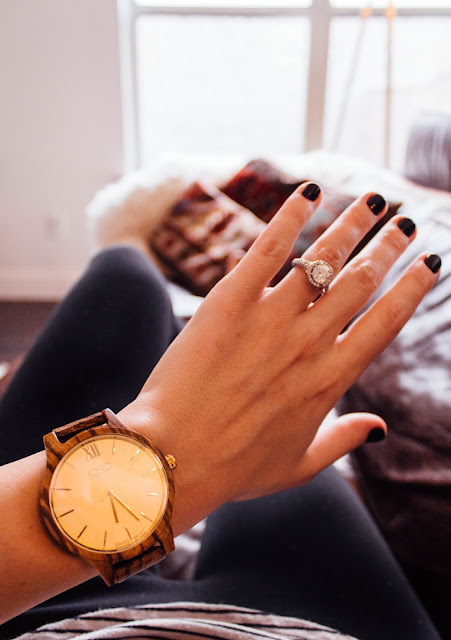 I chose the Zebrawood and Champagne Frankie and I love how simplistic and modern the it is. Since it's wood, I was a bit worried it might feel bulky or heavy, but I was pleasantly surprised at how light and comfortable it is! Do you want a wood watch of your own? 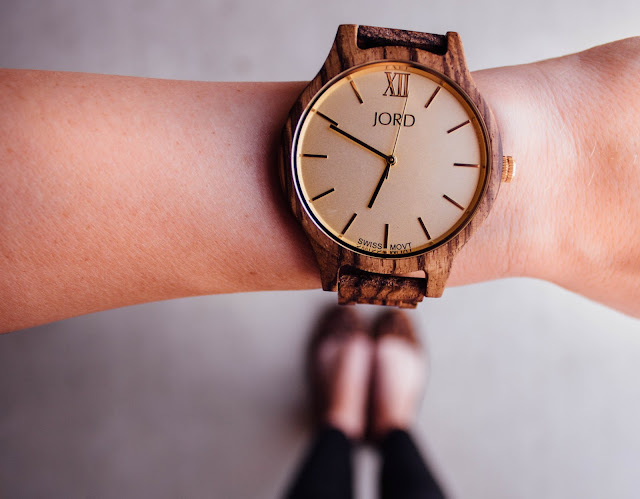 I've had the amazing opportunity to team up with JORD Wood Watches and they are offering you the chance to win a $75 e-gift card that you can use for your very own wood watch! Exciting right?! I have even more good news! Even if you don't win, you'll still receive a $20 coupon code!! How amazing is that? Winner will be chosen at random on 9/4.